On this episode of Breaking the Set, Abby Martin goes over all the warnings that were missed by the government in the run-up to 9/11. 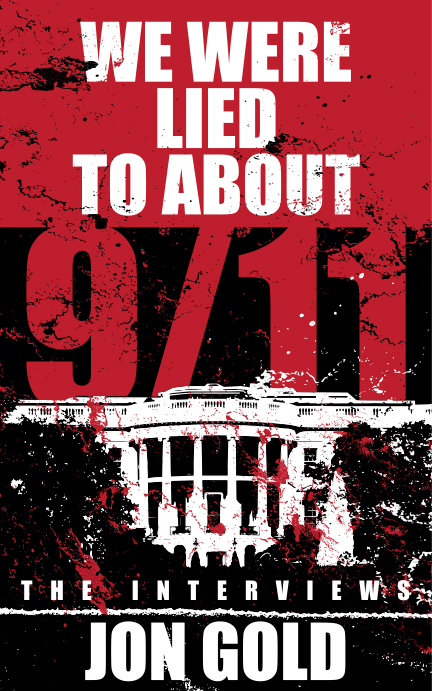 Abby then speaks with Brian McGlinchey, spokesperson for 28pages.org, an organization attempting to get Congress to declassify 28 redacted pages concerning foreign funding of the 9/11 attacks within a government report known as The Joint Inquiry into Intelligence Community Activities Before and After The Terrorist Attacks of 9/11. Abby then interviews former FBI agent and whistleblower, Coleen Rowley about why FBI agents were prevented from investigating evidence related to “20th hijacker”, Zacharias Moussaoui. RT correspondent, Alexey Yaroshevsky then features a report from ground zero discussing the exploitive nature of the new 9/11 gift shop. BTS wraps up the show by going over the unlearned lessons from the fateful day. On March 3rd, 2014 Abby Martin decided to speak her mind and express her disappointment regarding the Crimea media coverage from all sides of the spectrum live on her television show, Breaking The Set. The story went viral on the mainstream media, only because her show airs on Russian backed RT, and Russia had just stepped into the conflict following the coup in Ukraine. Immediately following this action, a cadre of younger thirty-something neoconservatives in the heart of Washington DC tried to smear Abby after discovering her political views. In addition to the distorted take-down attempts against her, they tried to hijack her stand and manipulate it into anti-Russian / pro-US propaganda. Let’s follow the bouncing ball on this one as it takes some unpredictable rebounds. On Friday, PandoDaily’s Mark Ames revealed that Pierre Omidyar, the billionaire funding Glenn Greenwald’s new journalistic effort, First Look, had helped fund efforts to bolster the opposition groups in Ukraine responsible for ousting President Viktor Yanukovych. Ames wondered about Greenwald and documentarian Laura Poitras, two people with access to the full cache of Snowden documents, working for a billionaire who was using his money to affect global politics. Then, Tuesday morning, Greenwald seemed to be addressing this squabble when he celebrated RT anchor Abby Martin for her views on Putin’s invasion of Crimea. Abby Martin talks to legendary actor and activist, Ed Asner, discussing 9/11 questions, US intervention in Syria, the declining role of Hollywood's anti-war left and his charity work with his organization Autism Speaks. Abby Martin speaks with Bob Mcilvaine, father of a 9/11 victim about the unanswered questioned that linger twelve years after the event, highlighting the glaring omissions in the 9/11 Commission report.